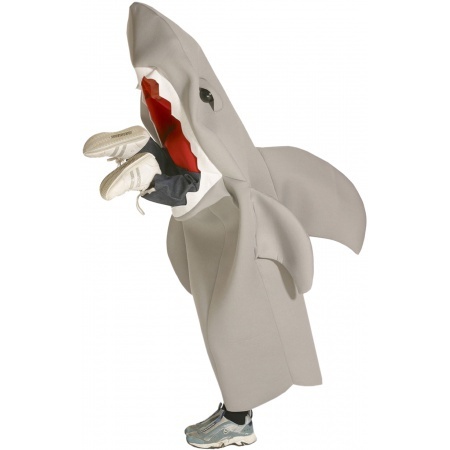 Includes over the body child shark costume with legs sticking out of shark's mouth. This man eating shark costume comes in child size One Size. 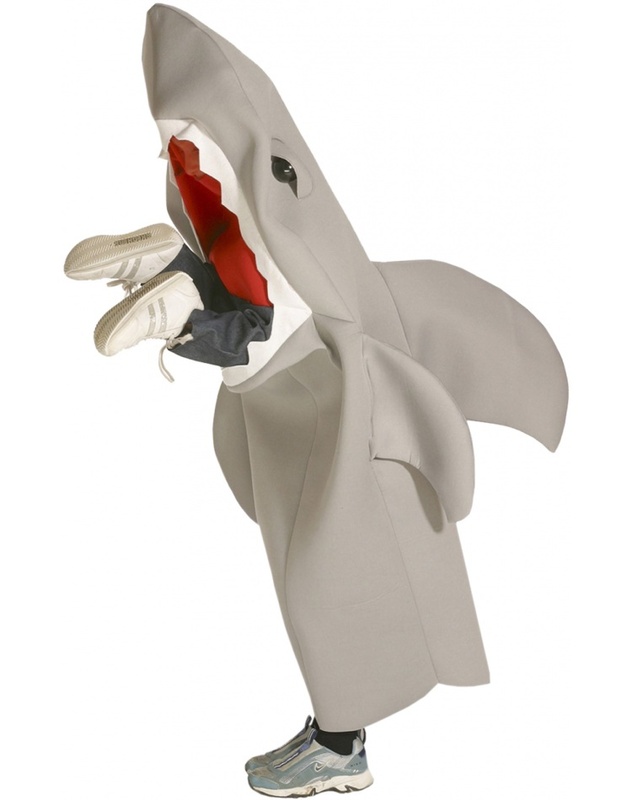 This clever costume for kids that gives the illusion of being swallowed by a shark. Arms go through the "legs" like sleeves. Add your own shoes to complete the look.